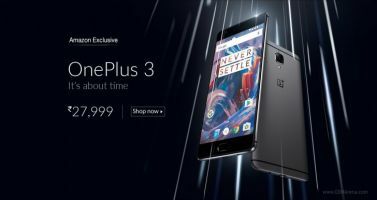 The OnePlus 3 launch is approaching fast but not fast enough for Amazon as they mistakenly revealed the new flagship on their site. The links have since been removed but GSM Arena managed to get some screenshots of what the OnePlus 3 will look like and its specs. Amazon gave us our best first look at the OnePlus 3, but Marques Brownlee showed off the front of the device to his Snapchat followers earlier this morning. That picture only shows so much though, so we’ll stick with the shots from Amazon. First let’s look at the specs and then you can peep some of the screenshots from GSM Arena. 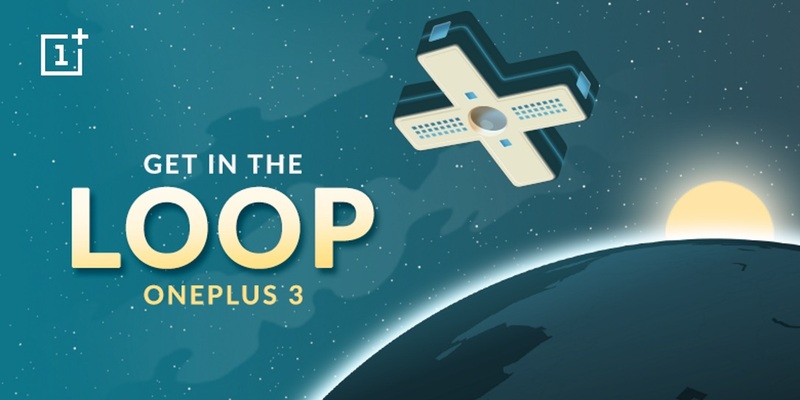 The OnePlus 3 will have a 5.5″ Optic AMOLED display with 1080p and wrapped in Gorilla Glass 4. Inside you’ll find the Snapdragon 820 chipset with 6GB of RAM and the cores are clocking at a max 2x 2.2GHz and 2x 1.6GHz. Internal storage is 64GB and there is no microSD expansion slot here. As far as cameras go, there is a 16MP Sony IMX298 rear facing camera that has OIS (optical image stabilization), phase-detection auto-focus, 4K video and LED flash. The front facing camera is another Sony branded module (IMX179) and is 8MP with 1080p video capability. The front facing camera also includes EIS (electronic image stabilization), not as good as OIS but should help with selfie pics. There is of course a fingerprint sensor and a notification LED, dual SIMs, NFC and 3,000 mAh battery. The OnePlus 3 is made from aluminium and comes in graphite and gold. Android 6.0.1 will be what you’ll get on this bad boy out of the box. Pricing was shown in Indian currency of INR 27,999 which translates to $416 USD. The OnePlus 3 launch is set for about 4 hours from now and we’ll be getting even more info once that happens. For now, enjoy the screenshots courtesy of GSM Arena and thanks Amazon for jumping the gun! 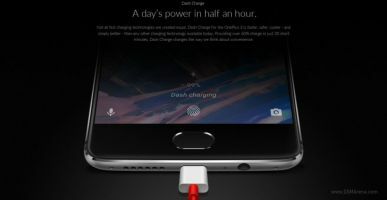 What do you think of the OnePlus 3? Let us know in the comments below or on Twitter, Facebook and Google+.